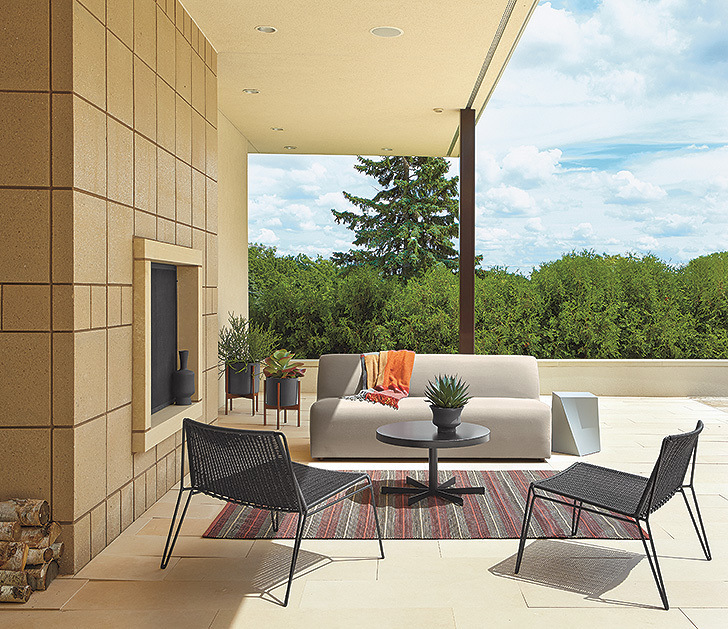 On the record, Andrew Busch is an expert Design Associate at Room & Board Chicago, with a skill for creating modern outdoor spaces. 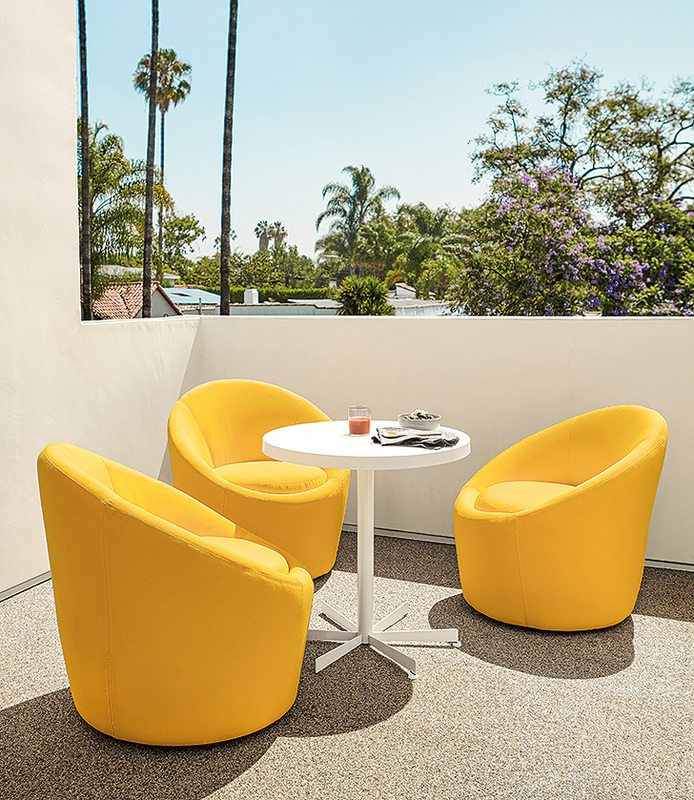 Off the record, he’s the most fun and helpful person to talk to about creating those spaces; his passion for beautiful, functional outdoor spaces is electric. 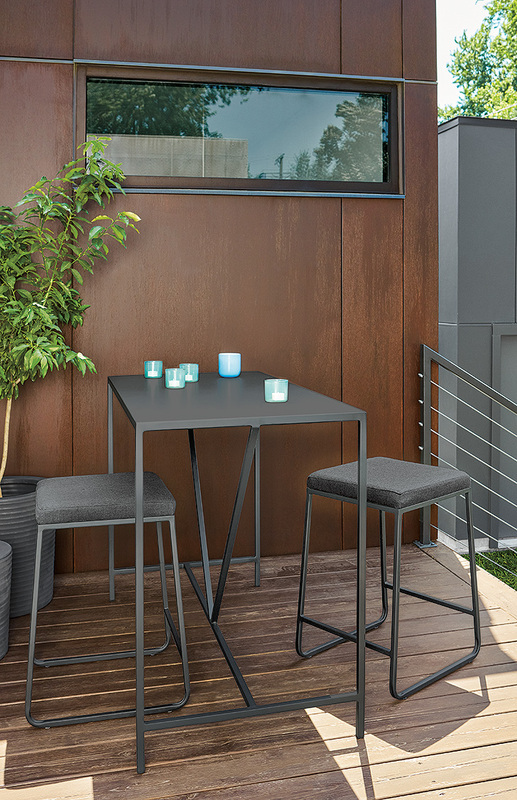 “Most of our outdoor benches are made from steel, instead of aluminum like a lot of our competitors, so not only do you get a more durable outdoor product, but you’re creating more of a seamless transition and look in your furniture as you move around between the inside of your home and your outdoor space. Weight restriction on your balcony? 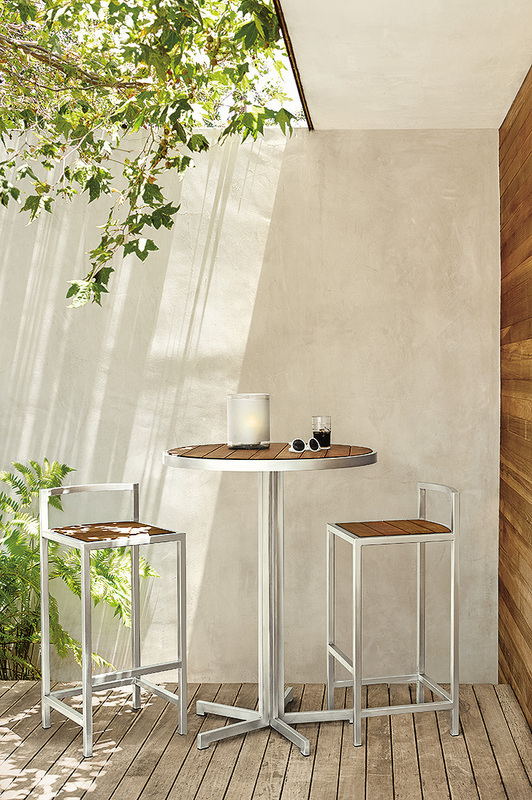 The Penelope table is only 46 pounds, making it a lightweight solution for a balcony that’s also sturdy enough to not get blown away in the wind. It’s great to have all your pieces from one collection – or to mix it up! 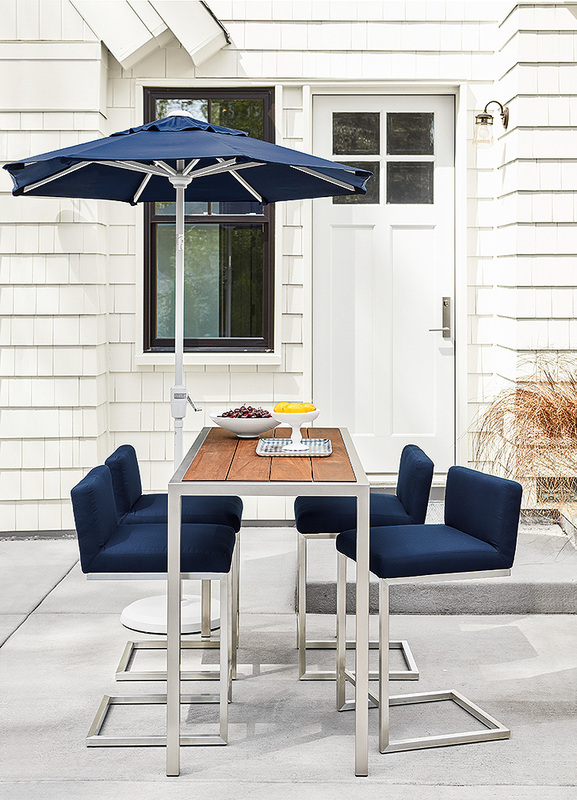 Looking for design help with your outdoor dining area? Check out our Free Design Services to get started. In the first picture (caption = Pratt outdoor table, Pratt outdoor benches), what’s the material of the exterior of the pool house? We’re currently designing a pool house and I love this!